What if I told you the Queen of England herself could solve poverty and world hunger HERSELF if she choose to? I know crazy right but hold on, she owns about 1/6 of land of Earth. What’s truly crazy is someone can own a piece of Earth, it was here first. With all the money she and her cronies has hoarded as well as land, they could be helping the world over eradicate poverty and hunger. Instead like many greedy Capitalists, the use a piece a paper and class warfare as well as force through military’s or private security, have allowed Queen Elizabeth II to be a pivotal player within the New World Order. She personally owns the land, owns, not rules or reigns over, and she owns more land than any government as well. Queen Elizabeth II, head of state of the United Kingdom and of 31 other states and territories, is the legal owner of about 6,600 million acres of land, one sixth of the earths non ocean surface. She is the only person on earth who owns whole countries, and who owns countries that are not her own domestic territory. This land ownership is separate from her role as head of state and is different from other monarchies where no such claim is made Norway, Belgium, Denmark etc. The value of her land holding. 17,600,000,000,000 (approx). This makes her the richest individual on earth. However, there is no way easily to value her real estate. There is no current market in the land of entire countries. At a rough estimate of $5,000 an acre, and based on the sale of Alaska to the USA by the Tsar, and of Louisiana to the USA by France, the Queens land holding is worth a notional $33,000,000,000,000 (Thirty three trillion dollars or about 17,600,000,000,000). Her holding is based on the laws of the countries she owns and her land title is valid in all the countries she owns. Her main holdings are Canada, the 2nd largest country on earth, with 2,467 million acres, Australia, the 7th largest country on earth with 1,900 million acres, the Papua New Guinea with 114 million acres, New Zealand with 66 million acres and the UK with 60 million acres. She is the worlds largest landowner by a significant margin. The next largest landowner is the Russian state, with an overall ownership of 4,219 million acres, and a direct ownership comparable with the Queens land holding of 2,447 million acres. The 3rd largest landowner is the Chinese state, which claims all of Chinese land, about 2,365 million acres. The 4th largest landowner on earth is the Federal Government of the United States, which owns about one third of the land of the USA, 760 million acres. The fifth largest landowner on earth is the King of Saudi Arabia with 553 million acres .The Queen is the sole legal owner of all the land of Canada. The private holder-ship factor, based on freehold tenure of housing is 67%. For all other land it is less than 9.7%, with over 90% of Canadian land remaining as Crown leasehold, administered for the Crown by various agencies and departments of the government of Canada. Canadians do not own land, they “hold” it, like in the U.S., they are listed as “tenants” on the deed. 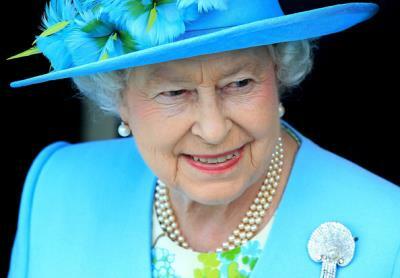 All physical land in Canada is the property of the Crown, Queen Elisabeth II. There is no provision in the Canada Act, or in the Constitution Act 1982 which amends it, for any Canadian to own any physical land in Canada. All that Canadians may hold, in conformity with medieval and feudal law, is an interest in an estate in land in fee simple. Land defined as Crown land in Canada, and administered by the Federal Government and the Provinces, is merely land not dedicated or assigned in freehold tenure. Freehold is tenure, not ownership. Freehold land is held not owned.The majority of all lands in Canada are held by governments in the name of the monarch and are called Crown Lands. About 89% of Canada’s land area (8,886,356 km) is Crown Land. Notice the word “held” by governments, meaning they do not own it, and in the name of the monarch, which is Queen Elizabeth II. The world’s total land mass consists of 36.8 billion acres of inhabitable land. Land: Basically… Qatar. The King owns the country and all 4,415 miles of it. Background: One of the last “Absolute Monarchs” in the world, King Mswati quite literally owns all of his Southern African nation. There are no land titles or deeds as the national law dictates that the throne is the sole landowner. Land: All 11,718 square miles of Lesotho, including the country’s diamond mines. Background: King Letsie is his second stint as Lesotho’s monarch after being replaced by his exiled father and then being deposed upon his return, then taking the throne again after his old man’s death less than a year later. And while the monarchy in Lesotho is mostly ceremonial, Letsie retains legal title over the nation’s lands. Background: The heir to his father, the wildly popular King Hussein, and onetime extra on Star Trek: The Next Generation, is one of The United States’ most loyal allies in the region and is currently facing his own realities of the upheavals throughout the Middle East. Background: Despite the country’s move to a Maoist Republic political structure in the 1990’s, the royal family retains nominal ownership of all Nepal. Gyandera is a titular head of state but antithetically friendly with the socialist government. He is the longest serving monarch in Asia and so popular is he in Thailand that a rumor of decline to his health caused a shock to the nation’s financial markets in 2009. Background: Mohammed is the first major proponent of democracy in the the history of a monarchy that dates back to the year 1036. His ownership of Morocco’s lands and his inherited fortune have led to estimates of his entire wealth being estimated at around $2 billion. Background: The heir to the throne of his father, King Fahd, Abdullah has continued his father’s dance of diplomacy with the U.S. over rights to Saudi oil. His recent dealings with a popular uprising at home have thrown oil prices into turmoil. Background: England’s third (and most likely soon to be second) longest serving monarch, Elizabeth II retains royal title over The British Commonwealth and as such manages to keep her face on money throughout the globe. With her 6.6 billion acres, Elizabeth II is far and away the world’s largest landowner, with the closest runner-up (King Abdullah) holding control over a mere 547 million, or about 12% of the lands owned by Her Majesty, The Queen.